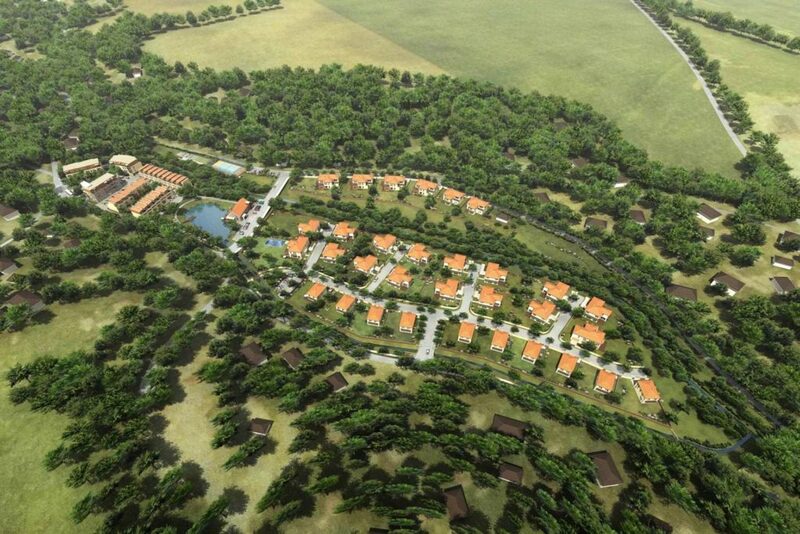 The village of Statenice, west of Prague has developed incrementally along both sides of a small valley with the flat area in between, too prone to flooding to support development. This led to a straggling development without a central focus. To enable development to be possible, the land levels were raised and a retention lake and new drainage channels added. 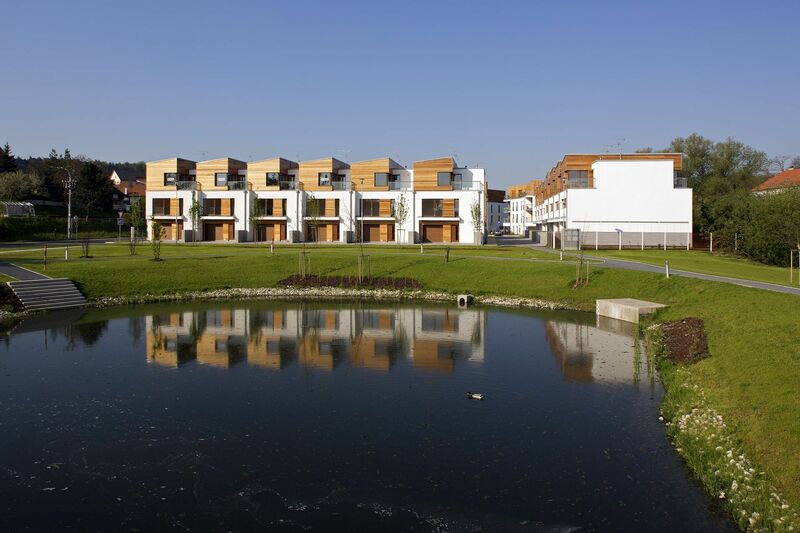 A new civic square, with amenities and apartments is then created with town houses fanning out towards the lake and family houses beyond completing the development. 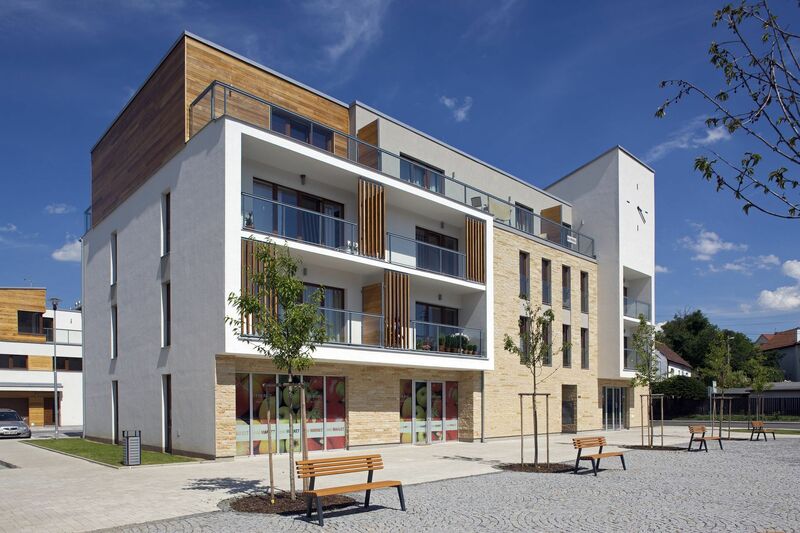 The public square has become a place for interaction and the new ‘heart’ of the village with shops, café, kindergarten, benches and a clock tower. 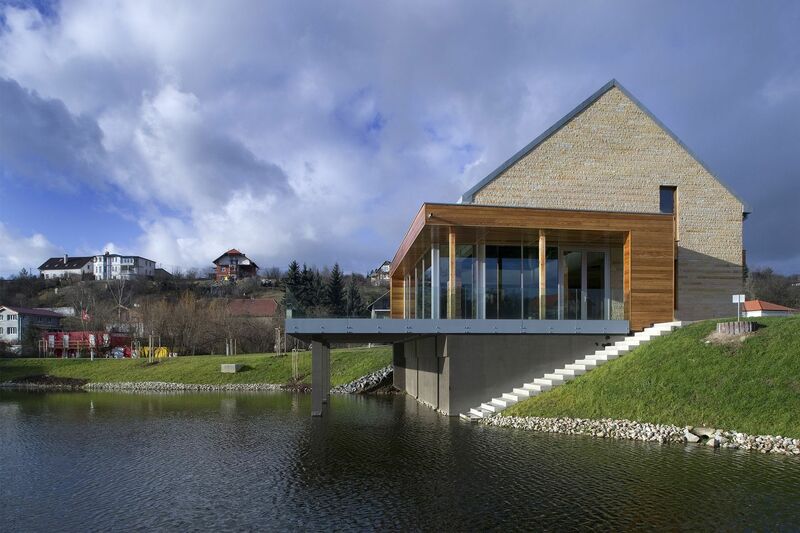 A restaurant hovers above the lake with an external deck projecting into the water. 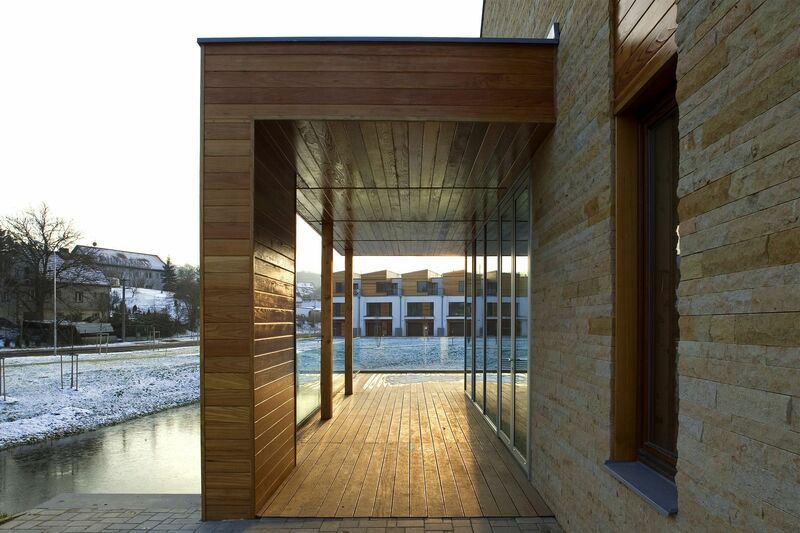 The designs incorporate traditional materials used elsewhere in the village – stone, timber, render and these are combined in a contemporary manner. 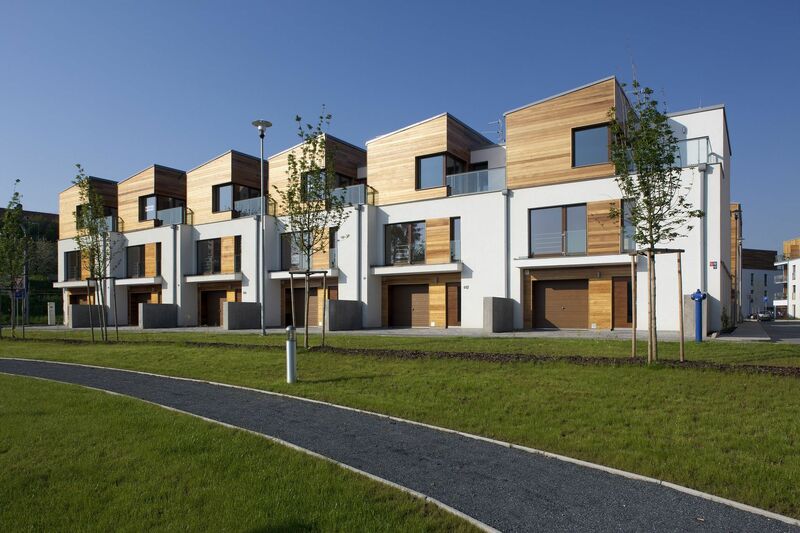 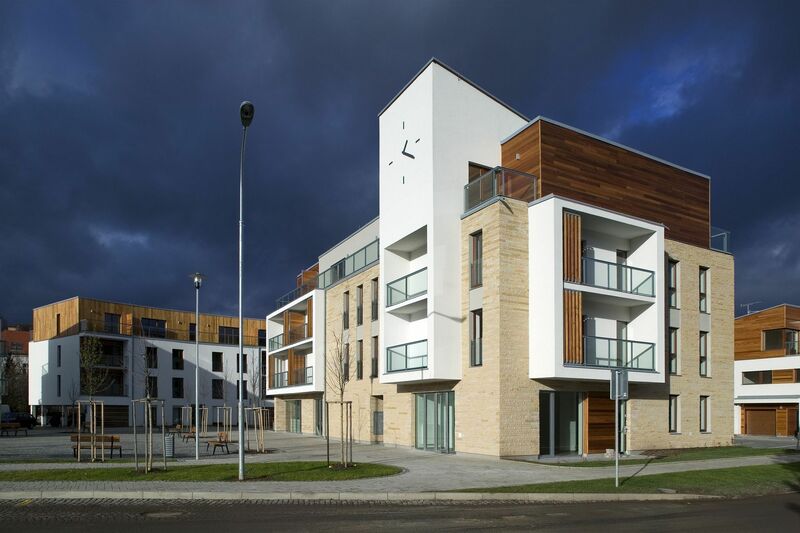 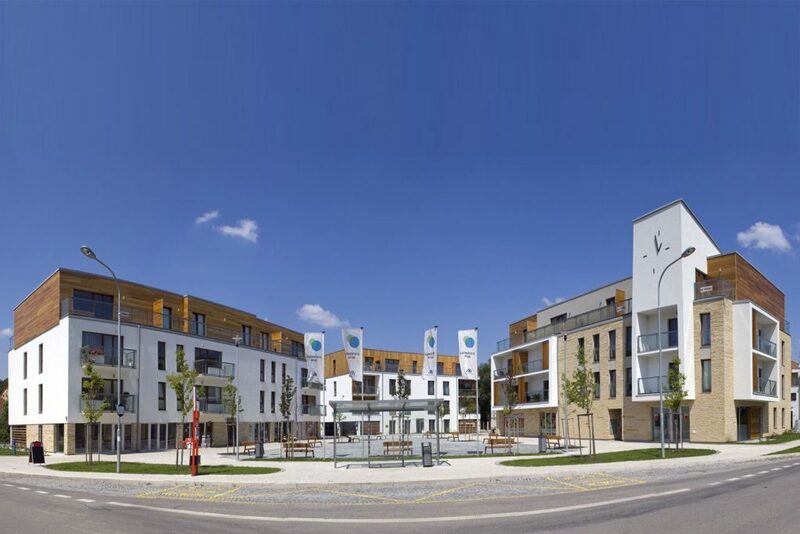 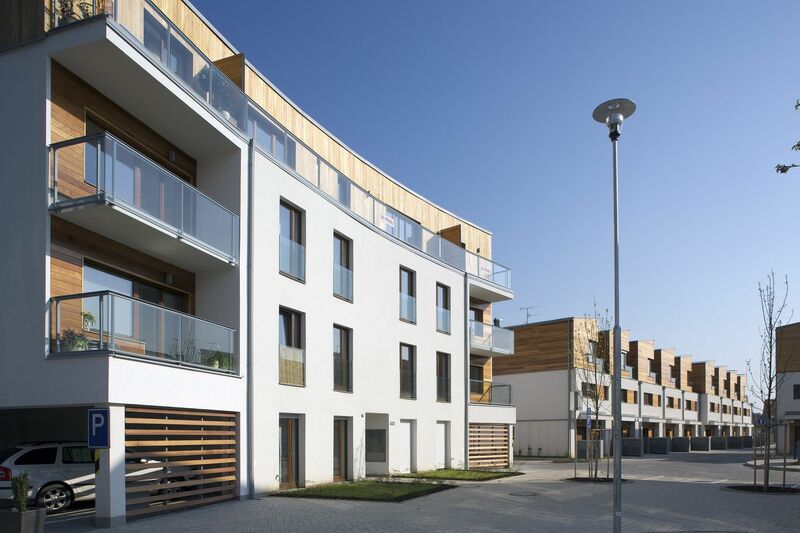 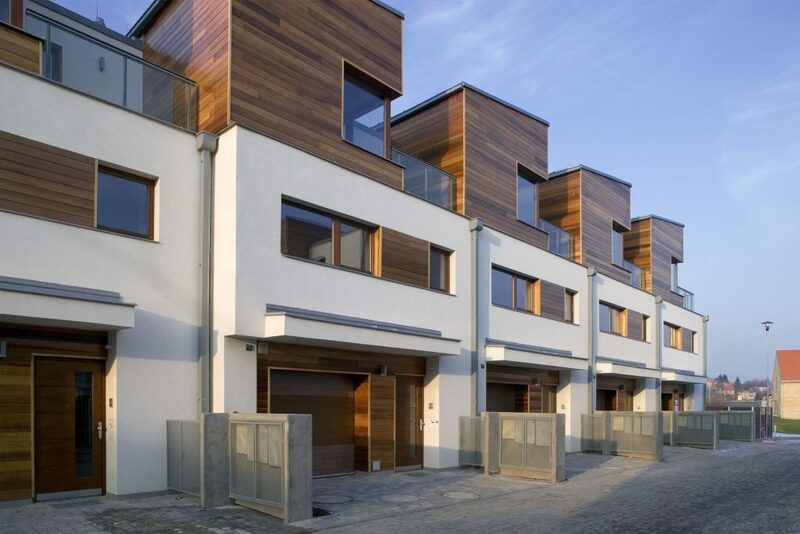 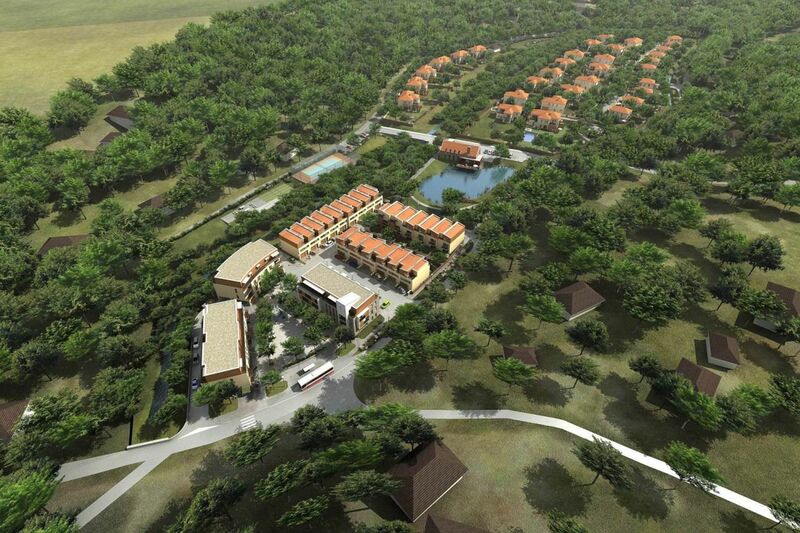 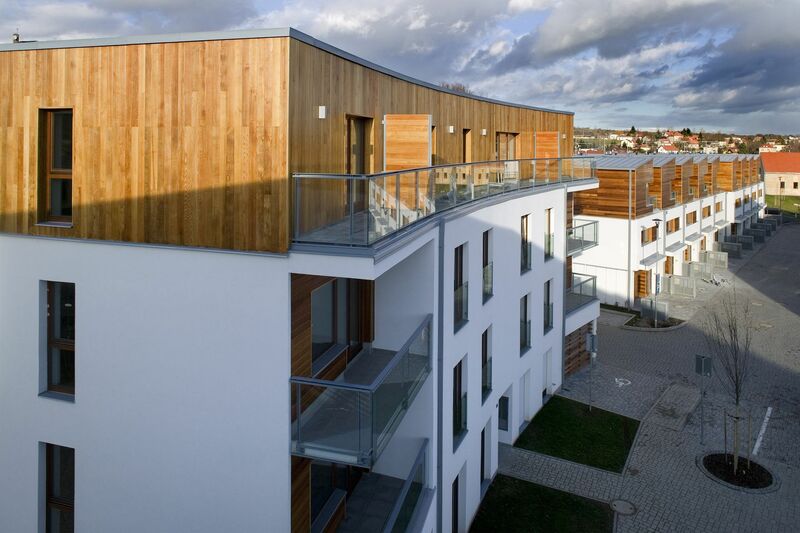 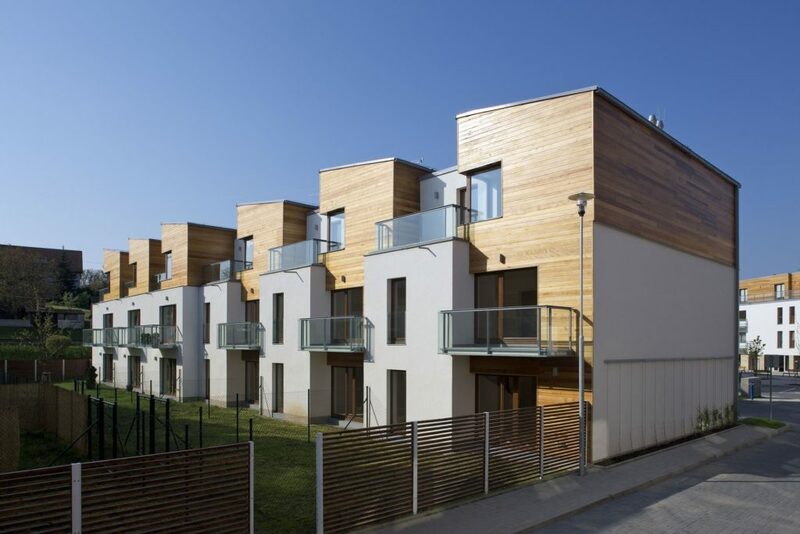 The project won 2nd prize in the Residential sector of the 2007 Czech Real estate awards.